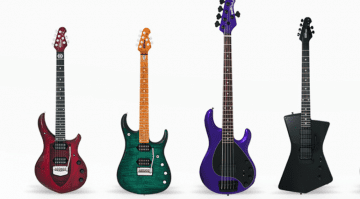 The Ernie Ball Music Man February Ball Family Reserve Collection has just been revealed and contains four new limited run guitars, including some signed, signature models. 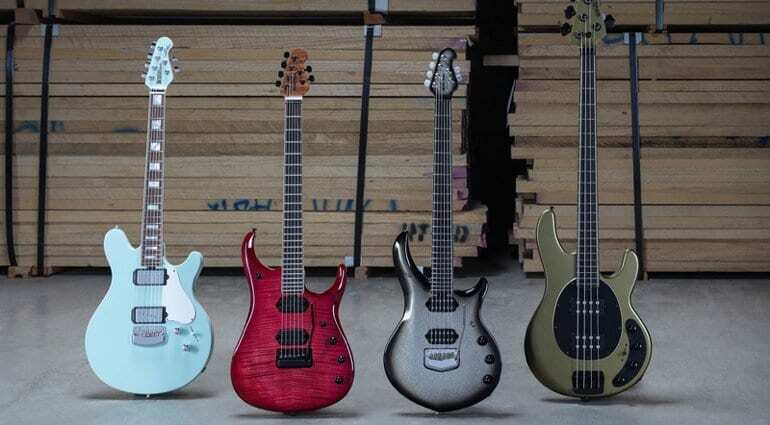 The new series includes the Majesty in Charred Silver, Valentine in Baby Blue, StingRay Special Bass in Dargie Delight 3 and the John Petrucci 15 in Paradise Pink. Each guitar is a very limited run and comes in these fancy ‘one off’ finishes for the duration of the run only. The John Petrucci Majesty comes in a Charred Silver Sparkle finish that covers the entire body, headstock and back of the neck. The fretboard has two strips of pearl inlays instead of the regular Majesty shield position markers. 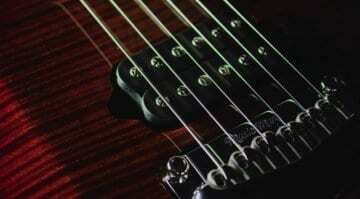 Each guitar is also hand signed by John Petrucci on the rear tremolo cover plate. Limited to 120 pieces worldwide. The Ball Family Reserve John Petrucci 15 has a flame figured maple top in a hand-stained custom Paradise Pink finish, with a translucent finish on the rear. The Ball Family Reserve Valentine has a select ash body with a limited run custom Baby Blue finish, black pickup rings and chrome hardware. It also has pearl block inlays and a headstock painted to match the body. The guitar has a highly figured, roasted maple neck with rosewood fingerboard and hand-fitted white binding. Each one is signed by James Valentine on the rear cavity cover. Limited to 48 pieces worldwide. The only bass in this series is a custom StingRay in a Dargie Delight 3 matte finish and comes with all-black hardware. This one has a fretboard with two strips of pearl inlays, replacing the traditional white dot position markers. 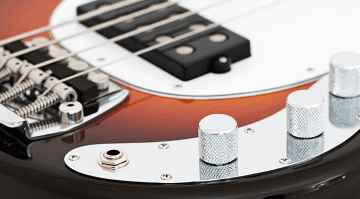 This limited run StingRay bass also comes with a matte finish on the back of the neck and the headstock. 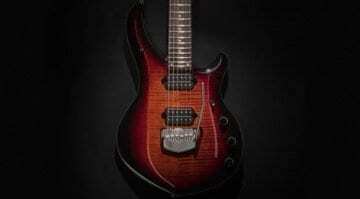 The Stingray also is the first to come with the new lightweight Ernie Ball Music Man tuning keys. Limited to 98 pieces worldwide.